The cult US beauty brand Urban Decay is famous for its popping colour pallets and cutting edge beauty regimes. 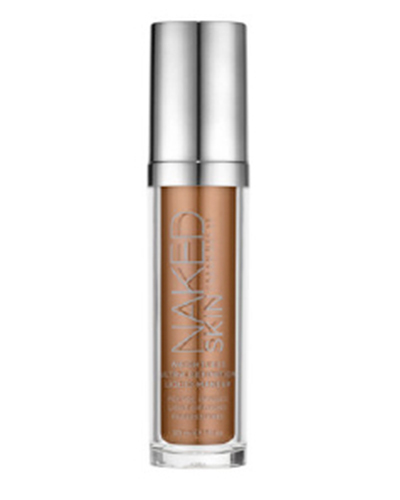 The Naked Skin Weightless Ultra Definition Liquid foundation is SUPER weightless and provides light to medium coverage. There are 23 hues available with a large number of these being suitable FleshTone shades. It’s super smooth, and gives you a light dewy (but not shiny) finish. It works best with a good primer, and contains great skincare ingredients such as Matrixyl 3000, vitamin E and green tea extract. The large number of shades available cater to a range of undertones for a flawless and natural look.